Base Erosion and Profit Shifting (BEPS) refers to the aggressive tax planning strategies adopted by Multi National Corporations (MNC) to capitalize on the loopholes in tax regimes and shift profits to a low tax or zero tax jurisdiction. The corporations thus shifting the profits typically have little or no economic activity in the host jurisdictions. The exercise is purely to exploit the tax advantage provided by the jurisdictions. Not all of the strategies employed in BEPS are illegal some of them have legal sanctions. Such tax management practices of MNCs were largely overlooked until recently. The acts came under the radars of the tax authorities of OECD countries after the global financial crisis. Corporate tax is the main source of revenue for most of the countries around the world, when the governments were hit hard by the economic crisis the lights of scrutiny fell on the tax avoidance strategies of MNCs. Such tax bypassing practices not only deprives a jurisdiction of its rightful tax revenue, but also affects the small domestic companies and belittles their tax compliance measures. The BEPS package consists of 15 Actions, which will empower the participating governments with instruments to track and tax profits. Empowered with these tools, governments can tax profits based on where the economic activities that contributed to the profits were performed or where the value was created to generate such profits. 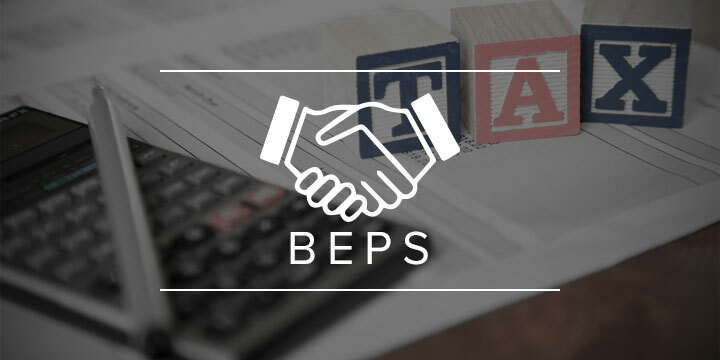 The members of the framework are required to develop a monitoring process for the four minimum standards and develop a review process for other Actions prescribed in the BEPS package. On June 16 2016, Singapore announced that it is joining the inclusive framework for the global implementation of the BEPS project, which was proposed by the Organization for Economic Co-operation and Development (OECD) and endorsed by the G-20 in February 2016. Over 100 jurisdictions come together under the BEPS framework to collaboratively implement the measures proposed under the BEPS project. As an associate to BEPS, Singapore will collaborate with other jurisdictions in developing monitoring and review mechanism to implement the Actions prescribed in BEPS Project. Singapore’s tax regime is largely in line with most of the recommendations made in the BEPS initiative. The tax incentives are extended to MNCs that have commercial substance in Singapore. The substantive presence in Singapore is assessed based on the onshore presence of management, business spending, key decisions made, value of assets, functions based in Singapore etc. Singapore does attract MNCs in select sectors by offering tax incentives and concessionary tax rates for qualifying activities. However the tax incentives or concessionary tax rates are not perpetual but instead the corporations can enjoy such incentives and concessions only for a limited period of time and only for that portion of the profits that is generated from qualifying activities. Offering tax incentives in the form of tax holidays, concessionary rates and exemptions in order to promote investment and participation from international companies is a common practice among all countries. Singapore employs such strategies to promote some key economic sectors, however the schemes are constantly reviewed and tweaked depending on the relevance of the scheme to the evolving economic landscape. For instance, in Budget 2016 tax exemptions enjoyed by some insurance businesses such as Captive Insurance and Specialized Insurance schemes have been allowed to lapse as per schedule and a tax rate of 5% to 10% will be levied thereafter. Thus Singapore is already on track by insisting on commercial substance and economic contribution. Singapore does not offer a freeway to corporations. Non –qualifying chargeable incomes are subjected to prevailing corporate tax rates. Singapore does not support treaty shopping or misuse the provisions of its DTA agreements. Singapore has an extensive DTA network and almost all tax treaties incorporate features to prevent treaty shopping. The OECD is proposing a multilateral instrument containing tests such as Limitation of Benefits (LOB), Main Purpose Test and Domestic Anti Abuse rule, to be incorporated in tax treaties with a view of tightening access to benefits and to prevent treaty shopping. It must be noted that LOB has already been incorporated in India –Singapore DTA. When the multilateral instrument is finalized, Singapore will review before committing to incorporate that into existing treaties. The BEPS initiative proposes a standardize three-tiered documentation for Transfer Pricing (TP) whereby a ‘master file’ containing information regarding the MNC’s global level operations and TP policies; a ‘local file’ containing information on related party transactions, amounts involved and the company’s analysis of TP determinations for such transactions; and a CBC reporting template requiring large MNC to report the revenue, income tax paid, tax accrued, employees, stated capital, retained earnings and tangible assets for each jurisdictions in which they do business. The MNCs are also required to identify each of its entity doing business in a jurisdiction and provide details on the business activity of each entity. From 1 Jan 2017, Singapore headquartered MNCs, whose group turnover exceeds S$1,125 million, will be required to file the Country-by Country (CBC) report. The CBC report must be submitted within 12 months from the last day of the FY. The jurisdictions have strong rule of law that can ensure the confidentiality of the information exchanged and prevent its unauthorized use. There is reciprocity in terms of information exchanged. As for the standard regarding TP documentation, Singapore regulations already require companies to provide group level and entity level details on transactions. Updates are awaited on the authority’s position on the ‘master file’ and ‘local file’ requirement under BEPS. The tax treaties concluded by Singapore contains detailed provision for dispute resolution. Singapore has actively engaged tax authorities of treaty partners to settle disputes. As a BEPS associate, Singapore will collaborate with other jurisdictions to monitor the implementation of dispute resolutions measures. Ensuring access to expedient and effective dispute resolution mechanism is vital to address the grievances of taxpayers engaged in cross-border trade. Singapore has always positioned itself as an international business hub and undoubtedly its low tax regime has been a strong traction for MNCs. Howsoever, Singapore has strived hard to keep its image clean and has distanced itself from the label of ‘tax haven’ by implementing stringent qualifying conditions for its tax schemes. Again by preemptively implementing the CBC reporting it has demonstrated its commitment in upholding the principles that drive the BEPS initiative. Singapore MNCs will find the compliance requirements onerous but the BEPS initiative appears to sweep across almost all jurisdictions around the world, therefore there is no leeway in sight. The move will not diminish the attractiveness of Singapore as a commercial hub because Singapore not only offers competitive tax rate but its competiveness in terms of its strategic location along the corridors of east and west, efficient workforce, world class infrastructure and stable political system is simply undefeatable. Wanna learn more about BEPS? Rikvin has specialists who can help you and your company with taxation matters. Contact us now for a free consultation.